Bjorn Lomborg has made the claim that 110 billion dollars spent in German subsidies on solar panels will delay global warming by only 37 hours. Billions of dollars of subsidies in Europe would not be necessary if "green power" was economically sound. Bjorn Lomborg believes in global warming but believes there are much smarter and cheaper ways of reducing CO2. "The Germans are spending about $110 billion on subsidies for these solar panels," said Lomborg. 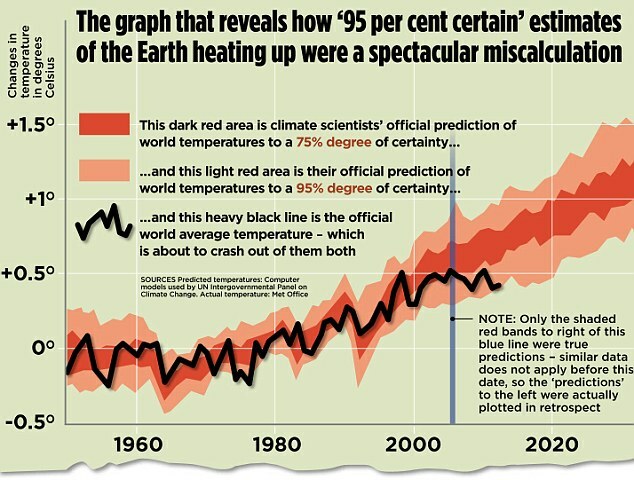 "The net effect of all those investments will be to postpone global warming by 37 hours by the end of the century." "All those billions, for 37 hours delay?," asked Stossel. "Yeah," said Lomborg, "so remember them in [the year] 2100 and say, 'Wow.'" Stossel clarified, "You believe in global warming and man-made--"
"Global warming is real," said Lomborg, "and it is we need to fix. But we should fix it smartly, and not in a very, very costly way as we're doing it now. Germany is probably spending $660 for every ton of CO2 they're cutting." After the fifth severe winter in the UK and 250,000 deaths from the icy weather questions are being rightly asked about the direction the country is heading. Fuel taxes and subsidies to useless green energy schemes are pricing electricity beyond the means of many poor and elderly. As things stand, dying of the cold remains a horribly British disease. Doing the email rounds is a summary of China today which puts in perspective the futility of Australia's carbon tax in the global picture. We are damaging our economy for no appreciable effect. …and the majority of just about every other major commodity. A New World Record: China made and sold 18 million vehicles in 2010. There are more pigs in China than in the next 43 ‘pork producing’ nations combined. they install less than 5% and, build a new coal fired power station every week. - the largest stockpile on the entire globe. So we’re saving the planet, aren’t we good LITTLE vegemites? The Conversation is a majority taxpayer-funded left-wing blog allowing academics, most of whom have no real-world experience, to address a mostly left-wing compliant audience. To gauge the political color of the readers you only need to look at the reaction to articles by Michelle Grattan , a left-of-centre journalist who recently left the Age to take up an editorial position at the Conversation. Not realising her audience is mainly to the left of Lenin her fairly mainstream articles have provoked near hysteria among the pseudo intelligentsia .That is why when I commented on today's article "States of decay: complementing the federal carbon policy" it was not surprising that my comment was deleted. Miller’s comments could have been tailor-made for Australia. 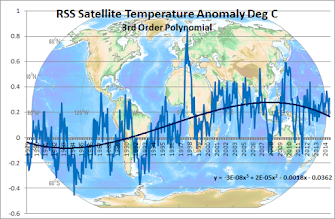 The famous “hockey stick graph” of rising temperatures has been confirmed, and atmospheric greenhouse gas concentrations spiked dangerously upward in 2012. The Australian Climate Change Commission found that climate change is already adversely affecting Australians with record-breaking heat, severe bushfires, extreme rainfall, and damaging floods – byproducts of the “Angry Summer”. Yet with the centrepiece of Australia’s climate policy not even a year old, most Australians are sick of it, or sick of hearing about it – fewer than 13% trust what politicians say about major public issues like climate change. My first comment was with reference to the freezing spring in Europe and the USA following predictions of snow"being a thing of the past and the years of flooding in Australia following predictions of continuing drought and noting that people are not stupid and can see for themselves what is happening. This was the reason they did not believe politicians. That note disappeared along with comments from other skeptics. "Your comment on the article "States of decay: complementing the federal carbon policy" has been removed in line with our community standards." I await the verdict on a follow-up to my reply below. "The first part of this article is about a survey on peoples attitude about climate change and the fact that the number of those concerned was decreasing. "fewer than 13% trust what politicians say about major public issues like climate change"
My comment on why this is occurring has been deleted as off topic. Maybe the Conversation needs to put in italics the parts of articles we are allowed to comment on. " The good news for the UK is that they are apparently going to have their own version of the Conversation. Mother Nature Nonsense has added another page to the Global-Warming-causes-everything tome with the addition of the image of rampaging feral goat herds terrifying the populace. Global warming is already causing serious problems all around the planet, from stronger storms and longer droughts to rising seas and expanding diseases. But at the same time, it's also spurring lots of less serious, even innocuous phenomena — trumpeter swans are thriving in Alaska, for example, while Rocky Mountain marmots arefeeling friskier. And according to a new study published in the ecology journal Oikos, feral goats may also flourish on this thin, ephemeral silver lining of climate change. Whether that would be good news for anyone but goats, however, remains to be seen. Of course if the Alaskan trumpeter swans have been revelling in the warmer weather their party may be short-lived given the current temperature trends which are distinctly negative as the temperature cycles downward. Bitter cold records being set this winter in Alaska will not help these beautiful birds either and maybe a common sense solution needs to be found which does not rely on the chimera of global warming. With all the climate nitwits running around demonising CO2 we can lose sight of what some real scientists are doing to benefit the globe. When we see that the major part of the globe is desert and it is increasing year by year any project that can reverse this trend deserves support. The trillions of dollars going down the gurgler on the global warming scam could be diverted to land reclamation with stunning results. Young potential scientists who want to save the world would be well advised to watch this. Interestingly, it turns on it's head the warmist theory that meat animals are damaging the climate when with different management they can be of huge benefit. There is little doubt that a new Coalition government in September will be disinclined to commit more than a token amount towards the climate scam and given the requirements for budget cutting the Climate Change bureaucracy should be quaking in their boots. Campbell Newman in Queensland has given a foretaste of the future by ruthlessly closing down the Queensland Office of Climate Change. The Financial Review estimates that 20 billion dollars of cuts are likely with a new federal government. The Coalition plans $20 billion in budget savings from cuts to the climate change bureaucracy and industry carbon assistance under a plan that would try to deliver big cuts in greenhouse gases at a minimal cost to business. Outlining for the first time details of the opposition’s climate change policy, environment spokesman Greg Hunt said the Coalition would keep the Clean Energy Regulator, which Liberal leader Tony Abbott once dubbed the “carbon cop”. The decision to retain the regulator, which now reports to Climate Change Minister Greg Combet and administers the carbon price, may help the Coalition deflect Labor claims that its direct action plan will not do much to reduce carbon emissions. The Carbon Farming Initiative, which allows farmers to earn carbon credits by planting trees and reducing land clearing, would be expanded to enable new forms of abatement to be verified by theClean Energy Regulator. The $20 billion in savings over four years would come from merging the departments of Environment and Climate Change, abolishing carbon assistance to companies, and closing down three climate change agencies: the Clean Energy Finance Corporation, which funds “green” technology; the Climate Change Authority, an independent government adviser; and the Climate Commission, which promotes the science of climate change. The really sad thing is so many young people have gone to university in good faith to study climate change and related fields and who will have no useful qualification in life as the scam unfolds. This week's scheduled House of Reps hearing on global warming was cancelled due to a large snowstorm but the irony of this would be lost on the true believers . As it turned out the storm arrived as foretold but the worst actually missed Washington .The earlier start to spring promised by the global warmers does not include events like this but we are used to them getting things wrong as when they predicted that "Children just aren't going to know what snow is" in the year 2000. The snowquester has claimed yet another casualty: Wednesday's House hearing on global warming. The panel hasn't announced when the hearing will take place. The session was apparently designed to shore up the knowledge of subcommittee members ahead of expected new carbon regulations from President Barack Obama. As of Tuesday evening, a committee spokesman had insisted the show would go on. From the start, the idea of holding a climate hearing during a paralyzing D.C. snowstorm seemed ripe for snarky comments. Cold weather,snow or ice interrruptions to global warming events happen so often they have been called the "Gore Effect" as he has been the recipient of Mother Nature's icy breath more than most. Outside the church, ere Mass began one frosty Sunday morn. For never since the banks went broke has seasons been so bad." the global warmers with his dismal view of life but in life things are never quite so bad as the doomsayers think. 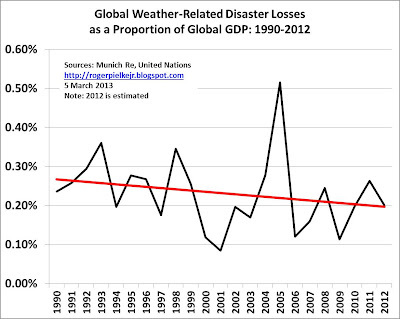 Munich Re, the global insurance company with a Hanrahan outlook and which has been blatantly pushing the warmist line has been contradicted by real data showing that normalised weather disaster losses have been reducing over the last 20 years. Of course Munich Re has a vested interest in promoting a disaster ridden world using any means to increase premiums and has a natural fit with the global warming lobby. 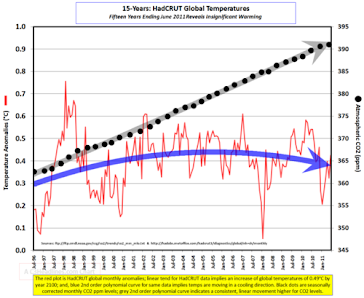 This peer-reviewed data contradicts the propaganda of the Global Warming catastrophists who have switched from global warming which is no longer happening to weather extremes as the principal scare tactic. E. Neumayer and F. Barthel. 2011. Normalizing Economic Loss from Natural Disasters: A Global Analysis, Global Environmental Change, 21:13-24 (here in PDF). They conclude: "there is no evidence so far that climate change has increased the normalized economic loss from natural disasters." NoTricksZone reports that deaths from natural catastrophes dropped 90% in 2012 , a statistic you will probably only read about on skeptics blogs. According to TAZ, 2012′s “total damages of $160 billion was below the long-term average. And foremost ‘only’ 9500 people died in 2012 from storms, floods and earthquakes - far less than the 106,000 in an average year.” That’s a huge drop of 90%! 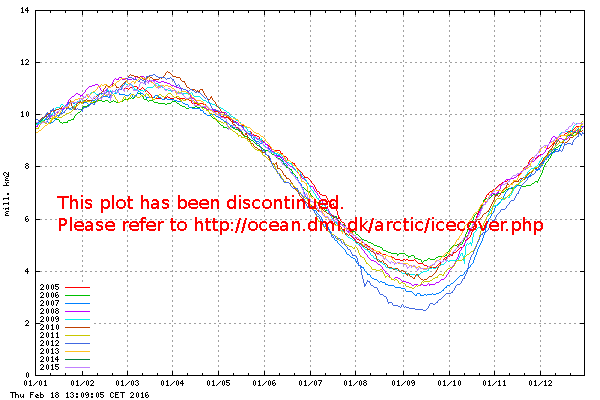 So all the dramatic stories about deadly weather extremes we’ve been hearing for months was mostly hype.